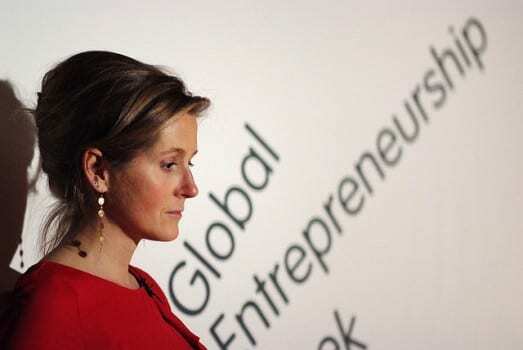 Martha Lane Fox is one of the few female Non-Executive Directors of Leading UK Companies. She’s a Director of M&S. She’s also an outspoken advocate of increasing female corporate leadership. Eager for some good news of a new generation of feisty female leaders, I downloaded the 2013 Female FTSE Report from Cranfield School of Management. I had hoped to see an improvement in the number of women in top positions. Oh dear. The Cranfield survey shows that in the first half of the financial year 44% of board level appointments at FTSE 100 firms went to women, but that slowed to 26% in the second half. Cranfield says this indicates firms have become complacent about the issue. Women make up just 17% of board posts, well below the 25% target recommended by the government-commissioned Davis Review. We can’t afford to let the momentum slide. Compelling evidence comes from the Credit Suisse Research Institute.It measures how gender diversity benefits corporate performance. By studying the stocks in 45 developed and emerging markets, the research found that 41 per cent of them had women on their boards at the end of 2005, increasing to 59 per cent by the end of 2011. Over the same period companies with female board members outperformed those without women on the board on both share price and return on equity (ROE). Surely we need to take these findings very seriously if we want to maximise commercial success and also make the most of the female talent pool? I believe we still need to work at changing organisational culture, and that applies to both the public and private sectors. Flexible working patterns, flatter management structures and a consensus-style of decision-making bring out the best in ambitious women executives. But there remains a tribal mentality in many corporations which denies talented women the chance to shine. Being Nottingham-based, I’d like to see one of our university business schools carry out research into the number of female-held directorships across Nottinghamshire or East Midlands companies so we have a regional benchmark to work from. Looking to the future, many cities retain a significant proportion of graduates from their colleges and universities. If we initiated a two-year postgraduate Women in Leadership programme for those committed to working for their cities, we would grow our own talent pool, place them in fast-growth companies and see a real return on the commercial bottom line. Who knows, these cities might triumph in exceeding the Davis Review target and put a marker in the ground as being truly ambitious. RT @WomensBiz: Women on boards are good for business – and local economies http://t.co/meFdESTwVa says @IntegraComms What do you think? Women really look impressive whether they are stay home mom and women who inspire and make a difference in this world. We need to salute them all. And not a bad trader after all after an article I read in http://www.our24optionreview.com 24option broker review it implies that most women trader have better judgement on the trades they are making than boys. It is just a statistic they gave true or not, it still pretty impressive.